Inspired by a recent vacation to Monterrey, Mexico, Chef Rick Frame serve up the latest East Side Taco Bar and Eatery. 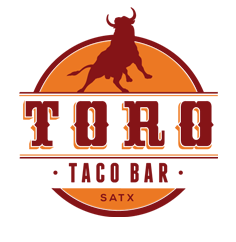 TORO Taco Bar is an open air taco bar offering drinks and Mexican inspired bar snacks from a patio amid the downtown San Anto skyline. TORO is more of a taco shack than a restaurant, more of a bar than a than a taco shack, and… mostly an outdoor patio spot. Located at the corner of Brooklyn Ave and Austin St. just minutes from the Hays Street Bridge. TORO offers a focus on agave based drinks and Mexican, South American and Texas craft beers. Closed Mon/Tue - book an event!